BK Tambov (Superleague 2) strengthened their roster with addition of 30-year old naturalized Kazakh forward Nail Gafarov (198-97kg-88). He has played for the last three years at Dynamo-CBK Stavropol. In 33 Superleague 2 games he recorded 10.8ppg, 8.0rpg (#5 in the league), 2.9apg and 1.4spg last season. 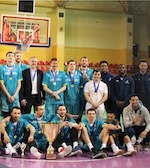 Among other achievements Gafarov's team made it to the Superleague 2 Semifinals in 2017. 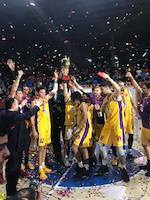 He received also Eurobasket.com All-Russian Superleague 2 Honorable Mention award in 2016. Gafarov has played previously professionally also in Kazakhstan (Kapshagay) and Russia (Planeta-Universitet Ukhta, Volzhanin-GES Volzhskiy and Sogdiana-Skif).